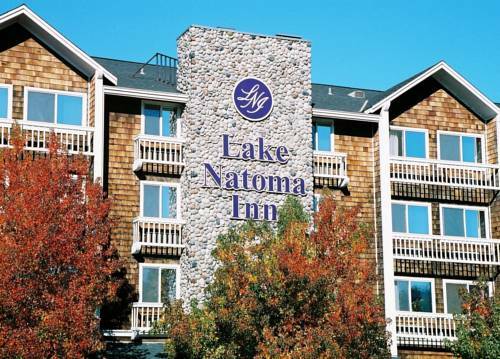 The Lake Natoma Inn located in one of Northern Californias most charming and historic towns is nestled between Old Town Folsom And the American River. Our relaxed atmosphere emphasizes friendly and hospitable service and is a welcome alternative to the Hustle and bustle of the big city yet within easy reach of Sacramento. The Lake Natoma Inn offers an exceptional setting for your Romantic weekend getaway business conference retreat or wedding. From the welcoming warmth of our lobby to our beautifully appointed guest rooms come experience Folsoms best kept secret. Frog statue perched on a stone cairn is a tribute to Mark Twain and jumping frogs.